Osman Tarawallie, two years old, was brought to us by his mother on Sunday to remind us of the hernia he has had since birth. Osman belongs to a family of poor farmers in Sierra Leone who cannot afford the $200-$300 required to have his hernia repaired. However, without this surgery, Osman will live with pain and his ability to do heavy work will be very limited. We are a unique charity. 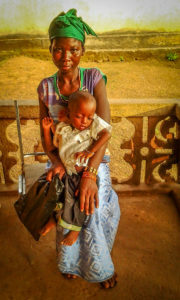 Virtually 100% of our funds are spent for the medical and surgical care of Sierra Leonean children and adult patients. Less than 1% of our revenue covers our extremely low administrative costs. In Sierra Leone, simple surgeries cost slightly over $100. No donation is too small. Every dollar counts. 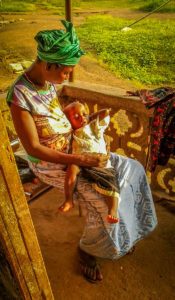 Africa Surgery, Inc. is a 501 (c) 3 not-for-profit. Your donations are tax-deductible in the United States.